The School of Social Work at Marian was started in 2002 and within a short span of time, has emerged as one of the leading schools of social work in India. School of Social Work is offering a full time BSW (Bachelor of Social Work) course with six semesters from the academic year 2013-2014. The programme is offered under the Choice Based Course Credit Semester System and Grading of MG University Kottayam. Besides the core courses the programme includes field work and complementary courses in all semesters. Language courses and choice based courses are offered during the first year and final year respectively. Beyond an academic degree, BSW provides opportunity for the students to develop interpersonal skills, self-esteem and human values and mould them as responsible citizens. The programme aims to mould socially committed and professionally competent young social workers. Social Workers are highly demanded in different settings including non-governmental organizations, hospitals and special clinics, counselling centres, schools, research organizations and industries. Completion of this programme will enable students to grab opportunities in India as well as in foreign countries like Australia, Canada, UK, New Zealand and USA. School of Social Work at Marian College offers adjunct programmes and competency trainings such as online courses of foreign universities, international placements and short term courses in social work competencies at the end of the third year. School of Social Work at Marian College Kuttikkanam offers a full time MSW (Master of Social Work) course with four semesters. The programme offers the following specializations in the second year (third and fourth semesters). The M.Phil. Program in Social Work aims to develop the candidate's qualifications in Social Work Practice that requires an advanced degree of scientific expertise. The programme prepares students to acquire advanced knowledge in the profession and relevant experience in the field/settings with client populations. The most important element of the programme is a small scale independent piece of research achieving a sufficient scientific standard. Students acquire substantive knowledge and skills that inform effective social work practice and advance scholarship in social welfare for the promotion of social and economic justice. The School of Social Work has academic tie-ups with research universities like University of Utah, USA and University of Texas, Arlington, USA. The Ph.D program was started in the year 2009. 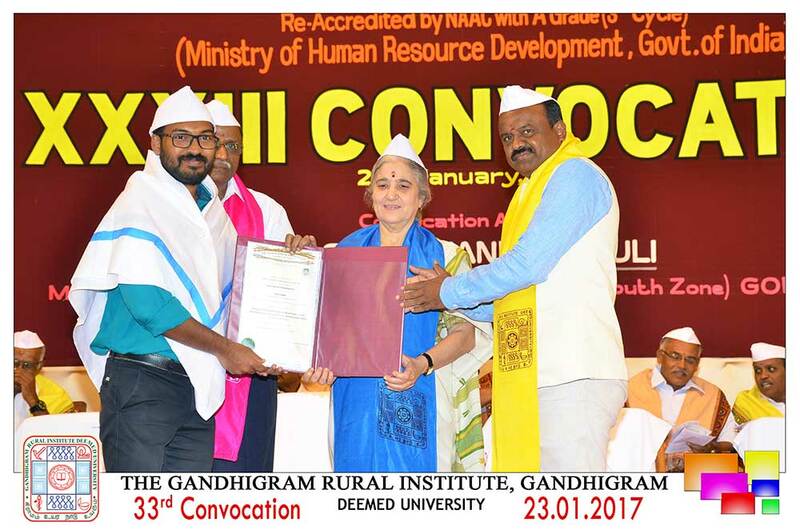 The Syndicate of Mahatma Gandhi University, Kottayam recognized the School Of Social Work, Marian College Kuttikanam as its Research Centre in Social Work with the intake capacity of 15 students. The program leading to the Doctor of Philosophy in Social Sciences (Social Work) is designed primarily for those preparing for leadership positions in teaching, research, administration and planning, policy analysis, and clinical practice in the social work field. The scholars can take up either full time or part time Ph.D.
Total marks obtained in the qualifying examination less handicap marks plus the marks obtained for optional concerned at the qualifying examination plus a subject weightage of 50 marks in the case of those who have taken the subject for Sociology/ Social Work/Gandhian Studies at the qualifying examination plus bonus marks if any. Graduation with not less than CGPA of 1.8 out of 4 in the Core Group (Core + Open + Complementary). Graduation with not less than CCPA of 4.5 out of 10.00 in the Core Group (Core + Open + Complementary). Graduation with not less than 45% marks in the Part III subjects (Main/Core + Subsidiaries/Complementaries). Selection of the students is made on the basis of merit list prepared and published. The merit mark will be the cumulative score of the following. Entrance Examination: The candidates satisfying the eligibility criteria will be called for entrance examination conducted by the College consisting of objective type questions on Verbal Ability, Reasoning Ability, Vocabulary and language proficiency in English and General Knowledge. Maximum marks allotted to the objective type test are 50 marks. Group Discussion and Interview: The candidates who clear the Entrance Examination will be called for Group Discussion and Personal Interview. Maximum marks allotted to Group Discussion are 50 marks and for Personal Interview 50 marks. Final Selection: Selection for the course will be on the basis of the marks scored in Entrance Examination, Group Discussion and Personal interview. The final rank list will be prepared out of 150. Postgraduate Degree in Social Work from Mahatma Gandhi University or any other Universities recognized by Mahatma Gandhi University with an aggregate of 55% (or CGPA of 2.5) SEBC and OEC candidates will be given a relaxation of 3% and 5 % respectively in the prescribed minimum marks. Final Selection: Selection for the course will be on the basis of the marks scored in Entrance Examination, Group Discussion and Personal interview. The final rank list will be prepared out of 150.